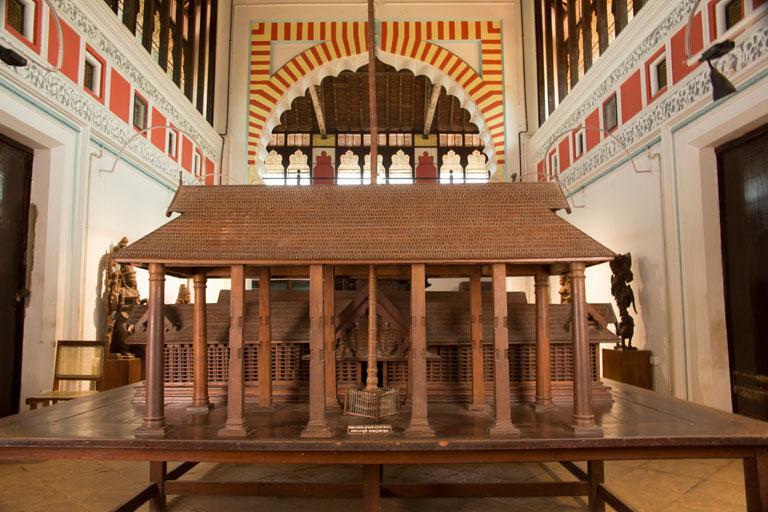 Date of Acquisition: 25-3-1974 A wooden model of the renowned pilgrim centre of North Kerala, Guruvayoor is exhibited in the Museum. The temple located in the town of Guruvayur in Kerala is dedicated to Lord Vishnu. 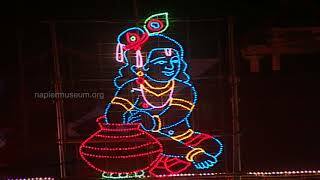 Guruvayoor Temple is renowned for its architectural excellence. The model is very successful in its efforts to bring the very essence of the structure to the model. The sreekovil (sanctum sanctorum), chuttambalam (temple complex) and kodimaram (flagstaff in temples) are all presented with utmost perfection. The exhibit was received from Department of Industries.